Making time for well being is not always on an individual's priority list when life zips by in a blur. The 'to do' list seems to keep on growing despite working frantically. We shun hospitals and visits to the doctor up until our bodies' warning lights flash "pay attention". 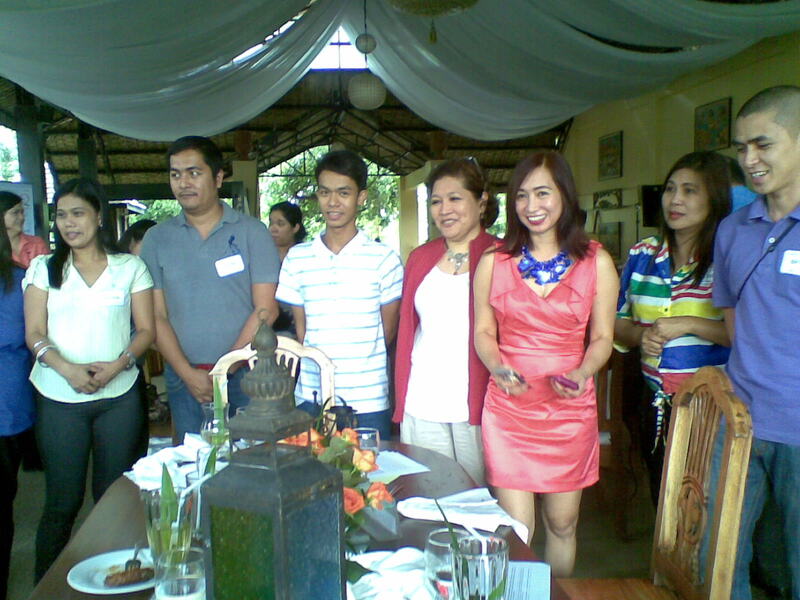 Healthway introduced HealthCheQ as an exciting option to get an executive check up in an event at the Nurture Spa Village, Tagaytay last July 26. For only 15,000 HealthCheQ lets you avail the much-needed thorough medical examinations at your choice of resort, spa or hotel. After completing the physical examination diagnostics and laboratory examinations in any of Healthway Medical facilities, patients enjoy an overnight accomodation from Healthway partners which inludes Manila Hotel, Midas Hotel & Casino, Acacia Hotel and the Bellevue Hotel. He and his partner may opt to spend the night in Club Balai Isabel should he prefer to catch some rays and picturesque view of Talisay, Batangas. A quiet respite at Nurture Spa Village, which offers its signature 'Ecotherapy' or healing by nature, is another good alternative. You can choose a prefect home away from home with HealthCheQ. It lets you savor quiet, quality time from your busy schedule to attend to your health and make the most of your vacation at the same time. 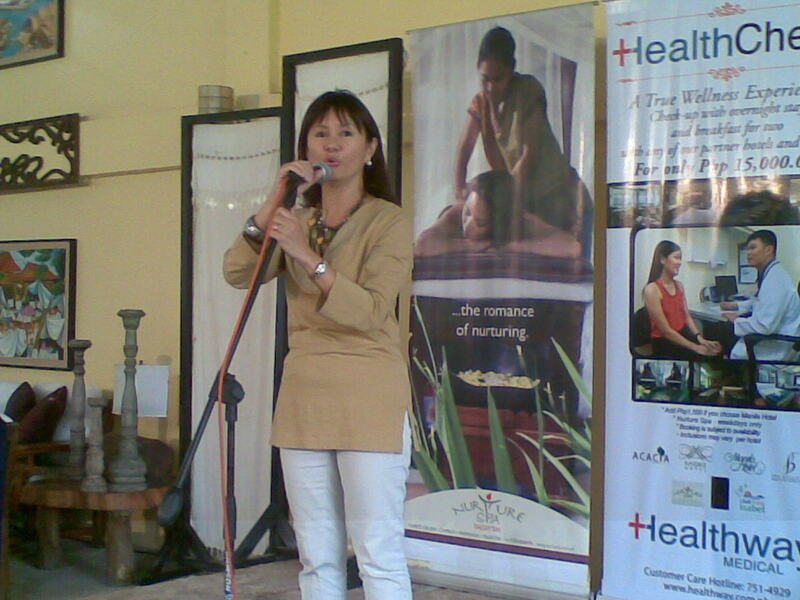 "This is another service of Alagang Healthway that promotes a preventive lifestyle through an executive checkup and total relaxation from our partner resorts, hotels and spas," relates Carmie de Leon, Healthway Medical Vice President for Sales and Marketing. 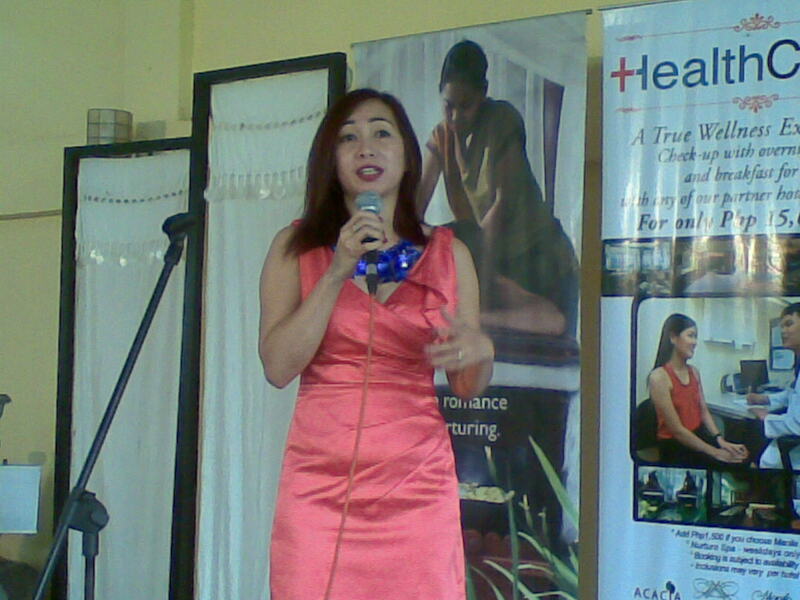 Going through the corporate offices is a sure way to promote health according to the President of Healthway, Dr. Eleanor Tan. When living beyond normal energy levels becomes the norm, work can drive even the hardest charging person to burnout. 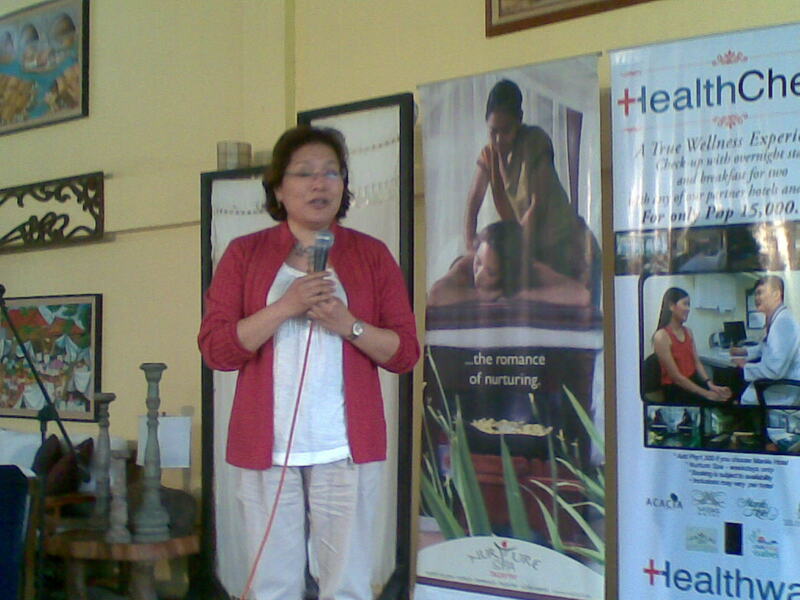 Get HealthCheQ now and let the experts work towards your revitalized well-being. Ms Cathy Turvil toured the guests media and partners within Nurture Spa Village. She taught stress-relieving exercises and gave tips on revitalizing the body even in between short office breaks. "Wellness is borne from the conscious choices that we make," according to her. 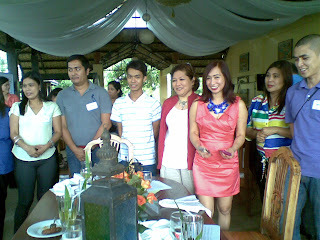 The guests were also treated to a head and neck massage plus a body health scan. 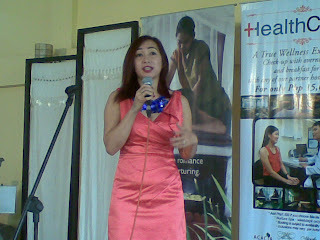 The HealthCheQ package also include a complete Oral Prophylaxis, one rejuvenating session of Intense Diamond Peel facial resurfacing treatment plus one Wellness visa that entitles the bearer to a free consultation with one of Healthway’s Primary Care Physician, and a PHP200 gift certificate for AB Pharma products for the patients initial medication needs. Visit any Healthway Medical clinics located at the Alabang Town Center, Festival Mall, Greenbelt 5, Market! Market!, Shangri-la Mall EDSA, Robinson’s Place Manila and SM North The Block for more information. You can also call their Customer Care Hotline 751-4929 or get details from their website at www.healthway.com.ph or from the “Healthway Philippines” on Facebook fanpage. I love the feeling of staying in a nice tranquil hotel while getting my health check! For PhP 15k it's not a bad deal at all. It's a good deal really and the package comes with a free breakfast for two as well. Health is wealth as what they always say.